Names have been removed for privacy. Why give your money to the markets? Why not invest a fraction of what you may lose, into your trading education? Others DO start to see the value of education. Unfortunately not until after losing "over 1k". 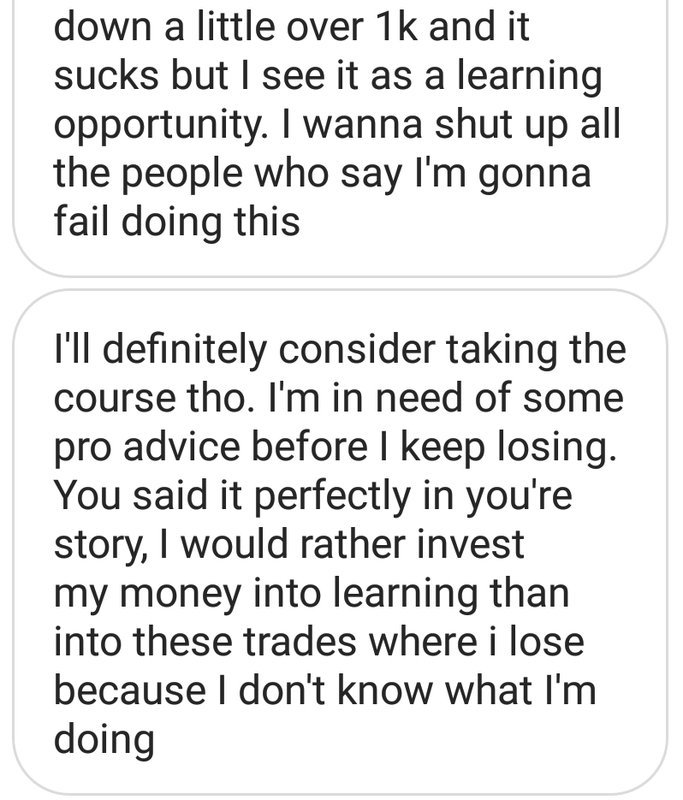 If you instead believe in the power of knowledge and the power of learning the right way, you can join the 10 Hour Trading Mastery Course below lesson 4, for a fraction of what you may lose, trying to learn by yourself. Have questions about the lesson?